Climate change is often seen as a “new” kind of crisis of capitalism – one that throws into question the standard Marxist analysis as having a blind spot with respect to nature. This has led to a whole host of intellectual efforts to “green” Marxism, or to argue an ecological Marxism must go beyond class to incorporate the “new” social movement of environmentalism. In one example, the late environmental sociologist, James O’Connor argued we should see ecological crisis as a “second” contradiction between capitalism and the ecological (and social/communal) conditions of production. In O’Connor’s view, capital tends to degrade ecosystems (and the climate) because they are external to value circulation and profit. 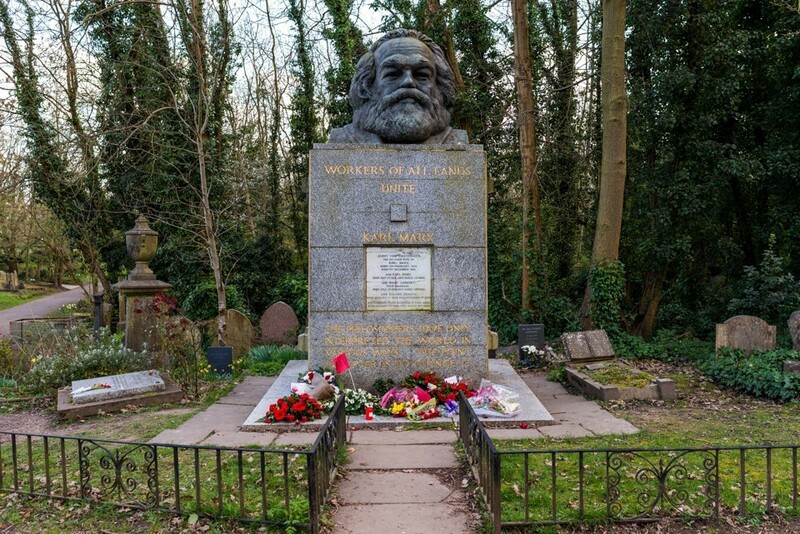 These theories are elegantly conceived, but a critical question has been left less explored: is Marx and Engels’s first contradiction unrelated to ecology and the climate crisis? I say no. What I want to argue here is that climate change is just another expression of what Marx and Engels identified as the core contradiction of capitalism: namely a contradiction between the social basis of production with the private system of property and wealth appropriation. As I will argue below, understanding this contradiction as “ecological” depends on an expansive understanding of what they mean by “social.” This argument means the political theories and strategies that flow from this contradiction still apply to the ecological crisis: namely the centrality of class struggle. This suggests we need not only “revise” Marxism to add ecological dimensions, but think ecologically about its core theoretical insights. This statement applies to all history. Marx and Engels saw the peasant and artisanal forms of production characteristic of pre-capitalist history as scattered into various forms of isolated private or small-scale communal labor. Capitalism develops more social forms of production based on increasingly complex divisions of labor and knowledge systems, yet it maintains a private form of appropriation where money and profit (and wages for that matter) can only flow to privatized market subjects. As more communities are violently torn from their own means of production (namely the land), these deeply interconnected social labor systems increasingly provision all of society’s needs. Today, our “socialized” production system has even more deeply enveloped the planet – from global supply chains to automated financial flows of money and information. For Marx and Engels, capitalism socializes production to the point where it only makes sense to socialize its control and distribution. As Marx argues in Capital the socialization of production under capitalism only points to, “the further socialization of labour and the further transformation of the soil and other means of production into socially exploited and therefore communal means of production….” This is socialism (and ecologically minded thinkers will note he mentions the soil as ripe for communal control). Let me go a bit deeper into what Marx meant by “social”? Put simply, he means “relations” between people – forms of interdependence. On the one hand, his analysis of the commodity reveals all those engaged in commodity exchange stand in relation to what he describes “the total labour of society” insofar as all commodities must be commensurable and exchangeable with all forms of labor required to produce them. On the other hand, in his analysis of relative surplus value, Marx shows capital has an “immanent drive and a constant tendency” to improve labor productivity through investments in more socialized forms of production. He first covers the complex – but mainly people-driven –forms of cooperation and divisions of labor in the system of “manufacture.” Yet, as Andreas Malm shows so well, his examination of large scale industry is about the replacement of living “muscular” power of human labor power with (eventually) fossil fuel powered machines (in the context of England this meant coal-based steam power). This wasn’t social because of the cooperative arrangement of living workers in a factory, but because of the complex social systems of knowledge – engineering, thermodynamics, chemistry, etc – are integrated directly into production. As Marx puts it in his famous “fragment on machines” in the Grundrisse, this leads to a situation where, “The accumulation of knowledge and of skill, of the general productive forces of the social brain, is thus absorbed into capital, as opposed to labour, and hence appears as an attribute of capital…” Under capitalism, all socialized innovation and progress appears as the result of private captains of industry like Steve Jobs and Elon Musk. Yet, this socialization of the production process also made it reliant upon machinery powered by fossil fuel – making it also a hugely ecologically consequential mode of production. Thus, machine-based production is not only “social” because of its appropriation of the “social brain” of science. – the deeply social forms of knowledge that underlie production. As we now know, machine-based production – from the early steam-powered factory to the modern data servers powered by coal-fired electricity – has social effects from the pollution it generates (and of course its manifold effects on all life). A coal-based steel plant outside Pittsburgh, or in Hebei province in China, effects the air quality of local residents (those who breath in the dirty air are in social relation to the steel plant), but, more significantly, effects the climate through the increase of carbon dioxide in the atmosphere. I’ve spent all this time elaborating on why capitalism is an increasingly “social” system of production, but why is this a contradiction? Because this increasingly socialized form of production maintains private forms of appropriation. Is not climate change itself the very evidence of this increasing contradiction? We have private fossil fuel companies who are still legally able to dig up fossil fuel, sell it as a commodity, monopolize the profits – creating enclaves of wealth and luxury for its CEOs and other corporate leaders – while the social effects of fossil capitalism are increasingly making the planet uninhabitable. In Marx’s time it was the private control of gigantic global capitalist empires alongside mass poverty and immiseration that made the expropriation of private capital seem like an obvious and logical next step. Today we have gigantic global capitalist empires, alongside mass poverty and a planetary collapse wherein a mere 100 companies are responsible for 71% of emissions since 1988. The crisis itself is leading climate scientists to quite plainly state nothing short of a “complete revolution in our energy system” will save us from planetary ruin. The contradictions are indeed heightened. Is not the recent UN report evidence that an “era of social revolution” is upon us? This is not a mere theoretical exercise, but politically significant. Efforts to “green” Marxism have always been based on the premise that environmental politics is separate from class – a new social movement. The right reinforces this when they pit “environment” against “jobs” – and constantly tell us environmental politics aims to make our lives worse off (this is often echoed by certain strands of the eco-left which focuses so much “consuming less”). There might be different forms of ecological politics – a movement to protect a national park is not the same as a sit down strike. But, this does not change the fact that our ecological crisis is caused by the class system under capitalism – namely private ownership and control of production for profit. More to the point, it doesn’t change the fact that the best historical experience we have on how to win against the class of owners is to develop a working class movement. The working class not only suffers most under capitalism – thus they have the “interest” in changing the system – but they also have power to change the system. This power is rooted not only in that the working classes represent the vast majority of society, but also they wield strategic power over production itself – withdrawing their labor can shut down the flow of profit to capitalists. As opposed to the politics of “consuming less” or stopping this or that pipeline or industrial plant, a working class ecological politics – like that in formation around “The Green New Deal” – is about a new alternative vision of industrial policy and public works projects; a new vision of socialized control over production itself that delivers material benefits – jobs, public transport, cheaper electricity – to the struggling working class. Neoliberalism has in many ways been a long 50 year period in which much of the left was convinced class and socialist politics is outmoded and a new left would be built through a kind of “movement of movements” of divergent social movements (see recent article by ecosocialist Michael Löwy which basically rehearses this talking point). Yet class struggle didn’t fade away. As Warren Buffet so famously put it, “There’s class warfare, all right… but it’s my class, the rich class, that’s making war, and we’re winning.” Rather than revising and “greening Marxism,” building an ecological politics that can win might benefit as much from revisiting the classical principles of Marx and Engels’s historical materialism. Climate change is only the last instance of the overwhelming evidence that capital’s socialized form of production stands in contradiction to its privatized forms of appropriation. This contradiction points to one solution: expropriate the expropriators. Matt Huber is Associate Professor of Geography at Syracuse University. He is working on a book on class politics and climate change for Verso Books. I think the main argument here is valid. It is clear that Marx saw capitalism acting on Earth. But the new green deal as in an alternative industrial and public works policy gives a lifeline to capitalism rather than going beyond private property and production for trade.